Aside from acquiring the property, a lease is often one of the first steps to making yourself an official landlord. New York doesn’t have strict laws about what constitutes a landlord/tenant relationship. There are the obvious transactions through rental agreements, and then there are instances in which two people choose to live together and thus form the same type of relationship. A few examples: elderly parents who move into a child’s home, a boyfriend who moves in at his girlfriend’s place, or a friend takes over an extra property you own all develop a tenant/landlord relationship even if there is no official contract signed. While this may seem easier off the bat, it is almost always more difficult to regulate if things go awry. Whether you plan to use a landlord software for managing your rentals or do it all manually in your own way, supervising rentals and tenants can quickly become a full time job if not handled appropriately from the get-go. That’s why lease and rental agreements were created in the first place. The Law Offices of Diron Rutty specializes in real estate law and wants to help make sure landlords are protected through a lease agreement. 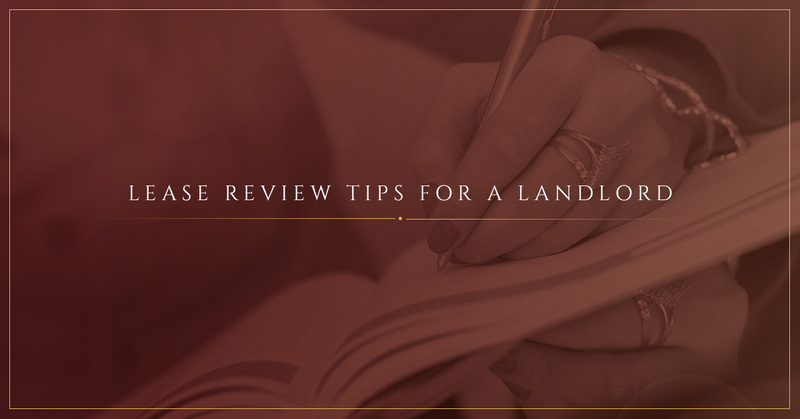 If this is your first time renting a property to a tenant or your 40th, it’s in your best interest to have the lease agreement reviewed by a lawyer who can objectively identify any possible hurdles in the future before they become your reality. Moreover, if you’re looking for something custom, a lawyer can help you draw a legal contract that fully suits your needs. Oral agreements are considered legal binding contracts, so it’s better to get it in writing so everyone is on the same page. Rental agreements should be specific. Vague terms invite many loopholes. The rules you state in the lease must stick to state laws. Communicate the terms and conditions clearly with the tenants. Even though the written agreement is the law, it can prevent issues by going over it in full from the beginning. A quick search on the Internet for lease agreement templates will give you plenty of samples to use as a foundation for your lease agreement between you, as the landlord, and a tenant. Then, you can adjust the jargon to fit your exact needs and desires as a landlord. Remember, your rental properties are like a business, even if your best friends are your tenants. The law is just, but it can also seem unforgiving if something goes wrong and you’re caught on the bad side of a rental battle. Protect your investment by starting with a solid lease agreement. Start your lease review as soon as possible with the help of the Law Offices of Diron Rutty. We have offices in Poughkeepsie and The Bronx.